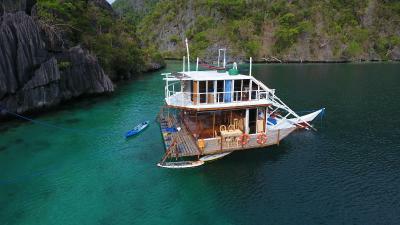 Lock in a great price for Paolyn Floating House Restaurant – rated 9.5 by recent guests! Very warm hospitality. The attentiveness of the staff down to their knowing your name is just remarkable! The food is good too, always fresh, huge servings, and very tasty. Location location location is key. Stayed for 3N/4D and all the above mentioned was consistent. 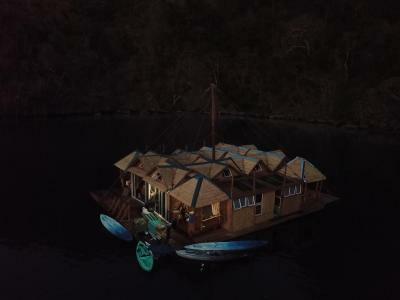 The concept ia very unique, The accommodation is actually a Floating house in the middle of a protected lagoon and every unit has kayaks and sups. The service was outstanding, The location (near the Twin Lagoons), The atmosphere, The possibility of room service and most of all the high sensitivity to nature ecology. It is all thanks to Paulo who is the conductor of the orchestra. One of the most beautiful and most romantic places we have visited ever... The only shame was that we didnt booked it for 2-3 nights lmore, as surroundings and reef in the vincinity were worth to stay longer. The food prepared and provided directly to our floating apartment was tasty, all services were at the highest standart. Everything was Tip Top. UNIQUE AND UNFORGETTABLE We stayed at this boathouse and we felt instantly at home in paradise. We enjoy morning and evening views of the lagoon from the boathouse. The rooms have been comfortable. The location was fantastic! 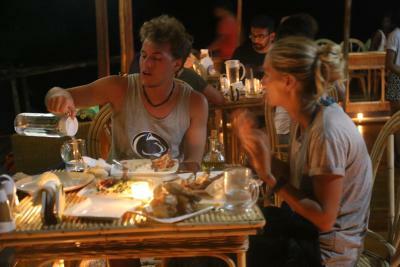 The meals prepared are all fresh and with heart-warming and delicious. The hospitality and kindness of PAOLO, family and staff was superb amazing, They treat us like their family. We were welcome with warm hearted gestures. 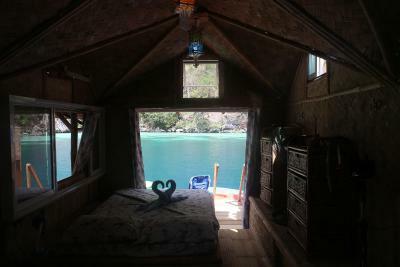 What I love here is complimentary all day use of water activities like kayak, snorkeling, paddle board,paddle boat. We definitely wished that we could stay longer.. and I will definitely would recommend this with family, friends, colleagues and to all of you. looking forward to our next visit here. Thank you again PAOLO,MEGAN, GEORGE and to all the staff..
Everything really. The enthusiastic welcome from Paolo, the kind and always helpful team at the restaurant and maintenance team who all feel like one big loving family, the well-thought, space-friendly and comfortable rooms, the responsiveness and willingness to make every guest feel comfortable, special and happy...and of course, the surroundings! Heaven on earth or rather water! This was the best stay ever, and i've been traveling a lot! We extended our stay for two extra nights because we loved everything so much. 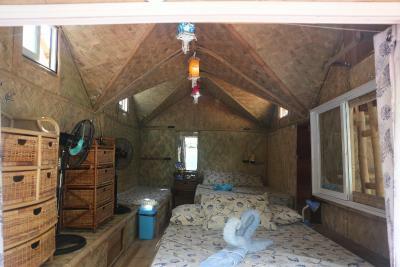 Paolo and what he has done with the boathouse is just amazing and beyond expectations. 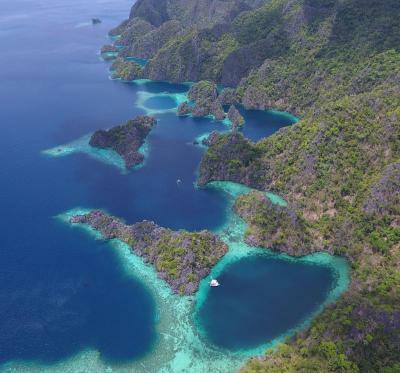 The location is amazing, the food is the best we had in the Philippines, the people working there super friendly and facilities just great - you basically forget that this place runs absolutely independent and all water, electricity, waste, needs to be brought from other islands or produced. And Paolo and April are the best hosts, they are friendly and helpful and just like old friends that will really take good care of you. 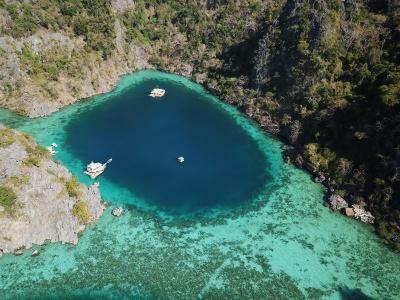 I dont have words to describe how amazing our experience was here and i really think everyone that visits coron should try to stay at least two night with Paolyn. thank you so much, Paolo and April! We already miss you and for sure we will be back! It's out of expectation. Paulo made a extraordinary job. You have everything that you need. One day is absolutely not enough. 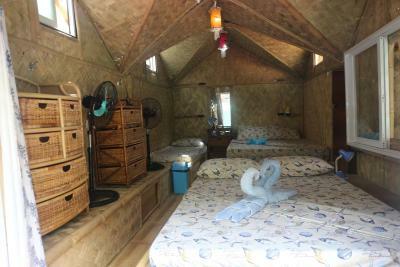 Everything is so different with the tour of Floating house. For sure we will go back!!!! 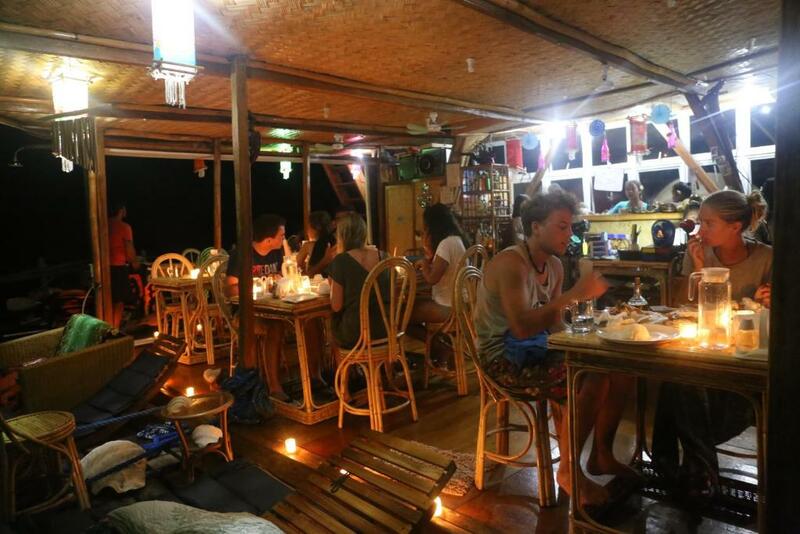 Paolyn Floating House Restaurant This rating is a reflection of how the property compares to the industry standard when it comes to price, facilities and services available. It's based on a self-evaluation by the property. Use this rating to help choose your stay! 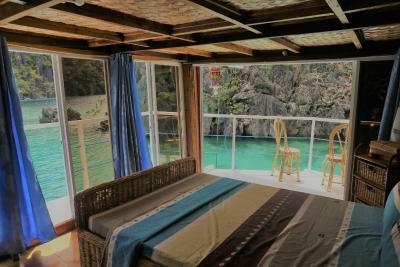 One of our top picks in Coron – and a guest favorite. 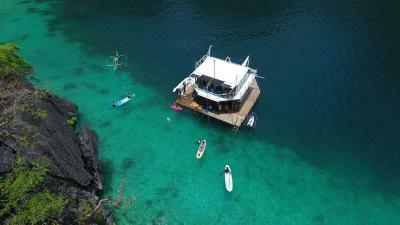 Paolyn Floating House Restaurant enjoys a location in Coron Island, just 2,650 feet from Twin Lagoon and 1.5 mi from Kayangan Lake. There is an on-site restaurant and free WiFi. 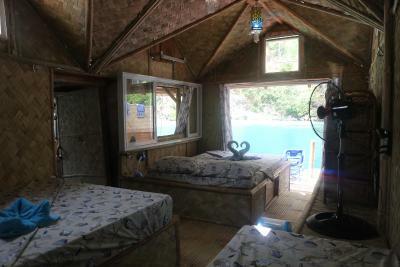 The boat includes a kitchen with a dishwasher and a fridge, as well as a coffee machine. The boat offers a barbecue. 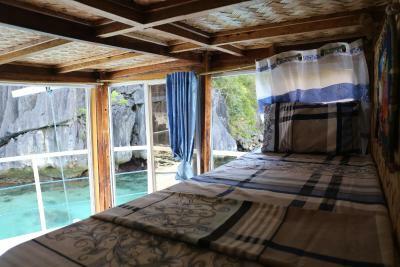 Maquinit Hot Spring is 3.7 mi from Paolyn Floating House Restaurant, while Coron Public Market is 3.7 mi away. 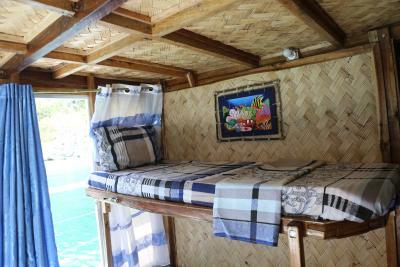 When would you like to stay at Paolyn Floating House Restaurant? This villa has a balcony, dining area and barbecue. 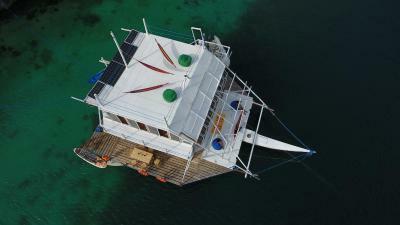 House Rules Paolyn Floating House Restaurant takes special requests – add in the next step! Please inform Paolyn Floating House Restaurant of your expected arrival time in advance. You can use the Special Requests box when booking, or contact the property directly using the contact details in your confirmation. Nothing at all. Everything was perfect for me. Just a suggestion perhaps: as the Filipino sun can be strong and unkind, a nice aloe vera nourishing cream after showers could be a lovely addition to the already very gentle variety of natural shampoo, conditioner and shower gel. 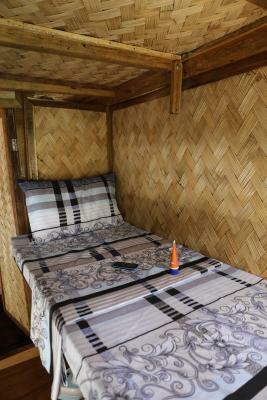 No hot water in the shower and issues with the toilet system, We were not updated in advance that each time we get of the boat or the kayak at the nearby Lagoons, we should pay 150-200 PHP per person. 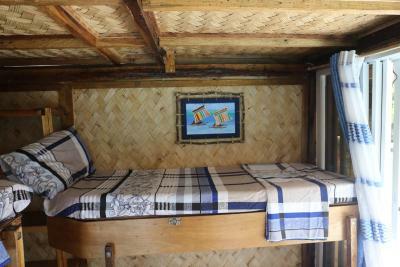 The meals are very expensive but it's due to the fact that the location create extra expenses (The food is fresh and is bought in Coron market everyday). The cost of the food and drinks was a little too expensive. I’m a frequent traveller having travelled across the globe, have stayed in some of the most attentive and expensive hotels in the world and can safely say, Paolyn floating house restaurant is without a doubt the most attentive! Attention to detail 2nd to none but not just attentive, very personal and genuine. food absolutely superb and the best location you could ever wish for! 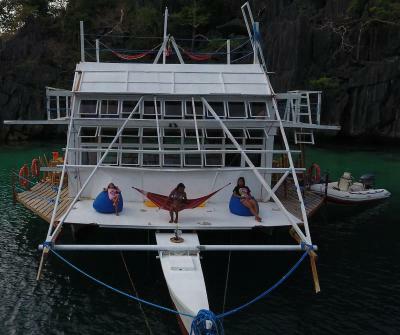 Having travelled 7 hours on the roof of a trading boat from El Nido, paulo the owner of the hotel decided he would meet us even before we arrived at coron. 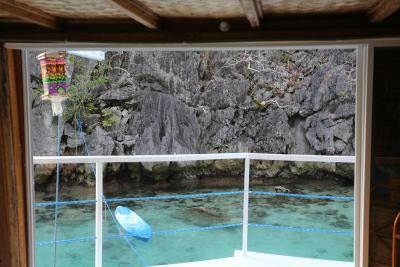 He went out of his way to come out to open sea in a speedboat, collected us from the boat and took us into the hotel. We started our stay at the main part of the hotel, the junior suite. The staff were lovely, ensuring our every wish was met. The room had the most spectacular view you could wish for. Kayaks supplied free for every guest which we made use of and went out to explore the local area. Trust me when I tell you this, you will not find a more stunning spectacular landscape anywhere else in the world. Straight out of Jurassic park, our mouths a gasp, time and time again we said “wow” Ive visited many Maldives islands, 10 times the price, none of which come close! My wife made a funny comment, “it’s like Thailand on steroids!” It’s also very apparent that Paolo and his team have a love and passion for protecting the environment! My first encounter with metal straws and nature friendly shampoo and conditioner, which can I add was provided free of charge! This is as good as it gets! Thanks Paolo and Team! 10 out of 10 from both of us. Getting a bit of a tummy situation at the end of our trip! The lagoon was magnificent. 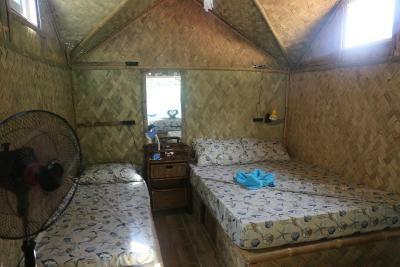 Staying on the boathouse was such a different experience. We were able to use kayaks and paddle boards every day from our deck! 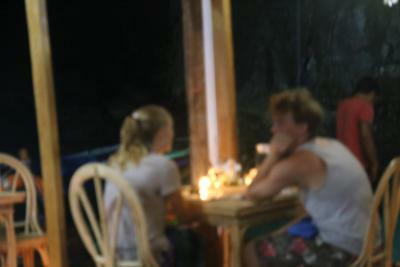 We could also order any drinks and food by walkie-talkie and it would come to our boathouse within 10 minutes. 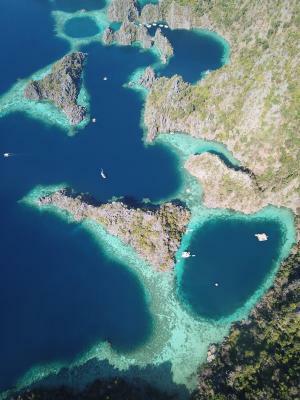 The snorkeling was amazing and Paolo and his staff were super helpful and friendly. If you are looking for unconventional luxury, this is your place. 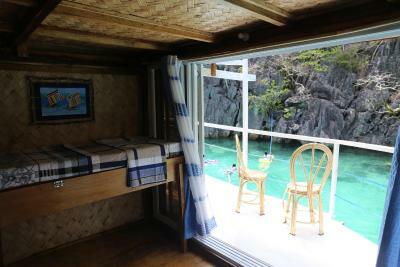 It is the only accommodation in Coron Island (all the rest are in Coron town), so it gives you early and exclusive access to the lagoons and the marvelous places to see in the island before all the other tourists get there. Paolo and his team made our stay unforgettable and we would definitely recommend it for those looking for a once in a lifetime experience, very different to a "normal" hotel. 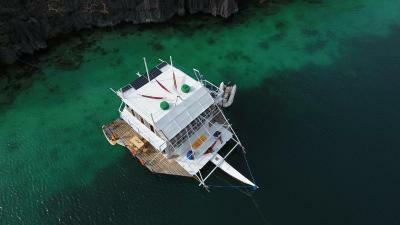 Being on a floating house has its limitations as you can imagine, such as a boat-like WC. Food quality was more than reasonable taking into account the logistic challenges of the place. I would trade off again those limitations for an amazing island experience.